Open 10AM-6PM every day except Tuesdays. This is one of the most popular Venice museums to visit and is conveniently located on the Grand Canal. This museum houses work from popular 20th century artists such as Picasso and DuChamp. Created by Naploeon- this Venice gallery fill up three different buildings and is home to the works of Venice’s most popular artists. Probably one of the places that you picture first when you hear “Venice.” Sit here and people watch at one of the cafés or restaurants. Or take in the history by visiting one of the three sites that call Piazza San Marco its home. Torre dell’orologio, Doge’s Palace and the Basilica di San Marco. Torre dell’Orologio – learn more about the tower and astronomical clock that is considered one of Venice’s most famous architectural sites. Doge’s Palace – discover the many apartments of this palace and cross over the famous “Bridge of Sighs” into the main prison area. Basilica di San Marco/San Marco Bell Tower – Venice’s most important church, nicknamed “Church of Gold” and a symbol of the Venetian wealth. 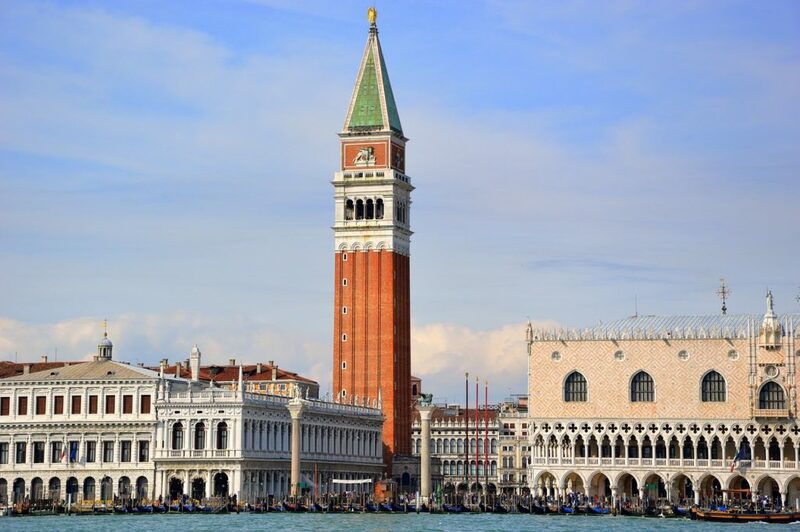 Head to the San Marco Bell Tower and climb to the top for a panoramic view of Venice. Visit the sections of Murano and Burano. Murano is most well-known for its glass. Here you will want to visit a glass blowing factory and buy a little souvenir to take home with you! Burano is a small fishing village that is known for its lace. Go check out this multicolored little village. You can visit both of these island in one day, no problem. Click on the link above to take a look at the tours offered. You can choose to take a boat/walking tour or even a self guided tour, equipped with the app and headphones to take yourself around Venice at your own speed. For the latest and updated exhibitions and fairs taking place, including Carnival parties, click on the link above. For those of you looking to explore by foot, download this: What to do in Venice: Map. You can print it or view it on your phone for more convenience.